First off – What is a Zestimate? Click to Read the Official Definition. Are Zestimate’s Worth Looking At? A Zestimate is not a forward-thinking tool, Zestimate’s track the market instead of driving the market. There will always be a bit of a lag in price. Their information also depends on what is available to them. Meaning in some areas where there is an abundance of recent information on surrounding houses, the Zestimate is likely to be more accurate than in areas with little recent information. Zillow’s accuracy has a median error rate of 5%. This means half of the home values in the area are closer than the error percentage. Can’t Replace a Realtor and Why Not? The bottom line is Zillow doesn’t know a lot about your house! The way a Realtor determines real estate market value totally different than how Zillow does. Zillow can’t reason and think like a Realtor can. Zillow doesn’t know that your home is in a better school district than the home that just sold down the street. Zillow doesn’t know that the town’s info on your home is wrong and that you have 3 full bathrooms not 2. Zillow doesn’t know that your roof needs to be replaced and the home beside you has a brand new roof. Or that you just spent $10,000 on a new lawn care system as well as a home security system and the recently sold property across the street didn’t. Most real estate agents will tell you they dislike Zillow because it lacks credibility in their eyes. In a world where buyers and sellers are already skeptical of real estate agents, Zillow only makes it harder for them so it makes sense that there is a conflict. Real estate agents take time and dedication into determining the right list price or offer and when it comes in $30,000 over or under the Zestimate, buyers and sellers become hesitant of their agent because they think a giant like Zillow may have the upper hand on pricing. Alternatively, they are so big that they aren’t taking the details into consideration when calculating a price, they’re looking at too big of a picture for their Zestimate to be accurate or fully reliable which is why it’s far from a confirmed list price. They are not all bad, they can be good starting points! Zillow is a great tool for buyers and sellers but can’t be used exclusively to buy or sell a house. You won’t be able to get a mortgage based off of a zestimate. 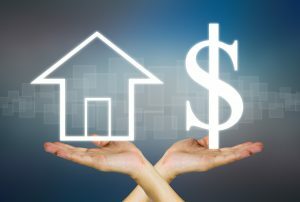 An appraisal from a certified appraiser will be required by the mortgage lender to obtain financing in most cases unless you’re paying with cash. Keeping in mind that the number one reason why homes do not sell is because of an unrealistic asking price, hire a real estate agent to help you price competitively! So in conclusion, don’t let the Zestimate rule your decisions, talk to a professional Realtor to get an accurate home evaluation.